World class reggae stars, including Alborosie, Tarrus Riley and Dean Fraser, legends The Congos, Kabaka Pyramid, Micah Shemaiah, creators of the carnival genre “zouk”, Kassav’ and the dancehall icon Konshens will bring true Caribbean vibes straight to the heart of Europe. The other headliners that will stir up the place are the female reggae, soul and hip-hop singer Nneka, one of the original hip-hop creators Sugah Hill Gang, energetic Looptroop Rocker’s, jungle legends Ragga Twins, Modestep, a fusion of dub, dubstep, drum 'n' bass and electronica, as well as Dubioza Kolektiv and The Skints. These unforgettable concerts will be complimented by two days worth of performances on the other stages, a heavy soundsystem at the Dub Club stage, chilling out at the cinema zone, being inspired by live street art or putting the body and mind in shape with dance workshops, U-ramp, morning yoga, capoeira or sport matches. 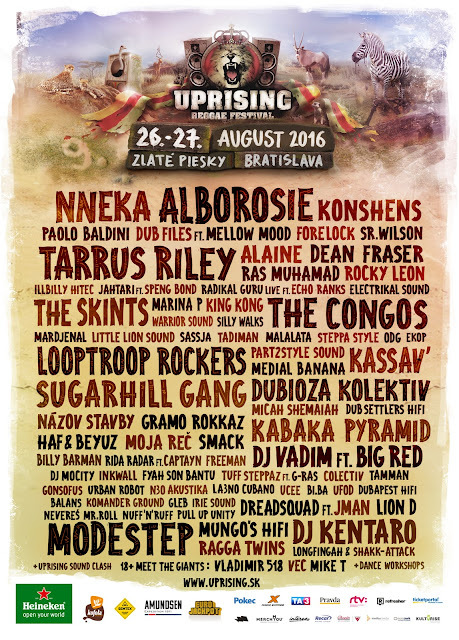 Get lost in the Uprising festival premises full of trees, hidden corners and welcome the sunrise by a lake. After the sun sets, the area is brightened by beautiful light installations which create an unforgettable atmosphere in the backdrop of the best music. Whoever experiences the festival waits the whole year for it to start again, so why not discover, befriend and talk to strangers with whom you will come back next year. 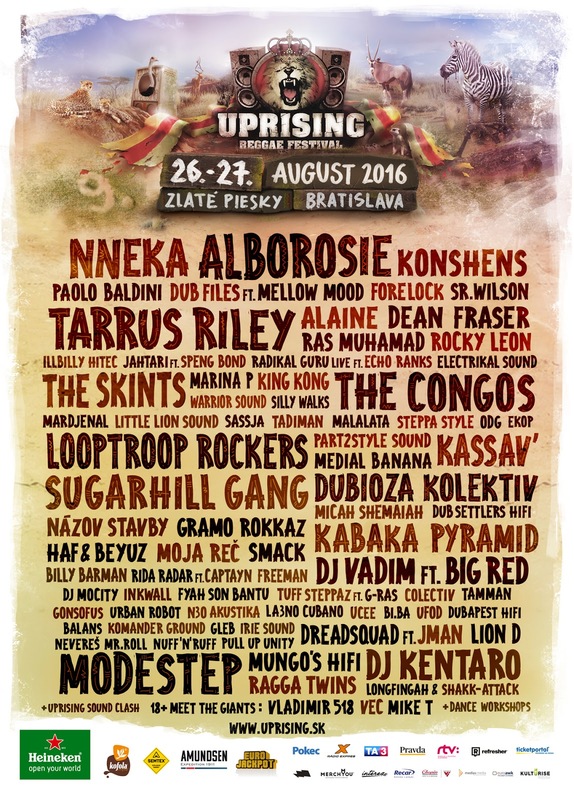 Join the Uprising family this summer on August 26th and 27th in Bratislava, Slovakia! Celebrate peace, unity and respect, enjoy the last days of summer and party until the early morning.